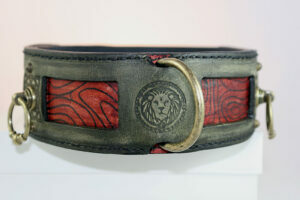 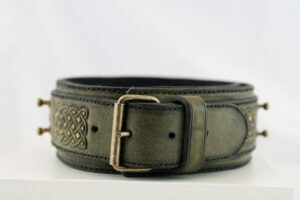 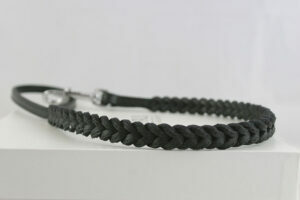 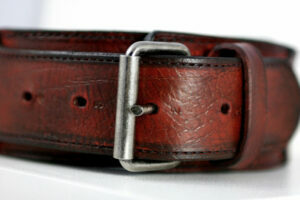 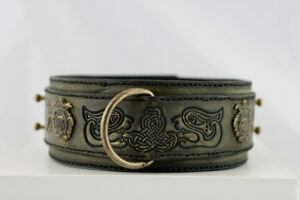 Darjeeling Dog Collar is designed for medium sized dogs as well as for the larger breeds. 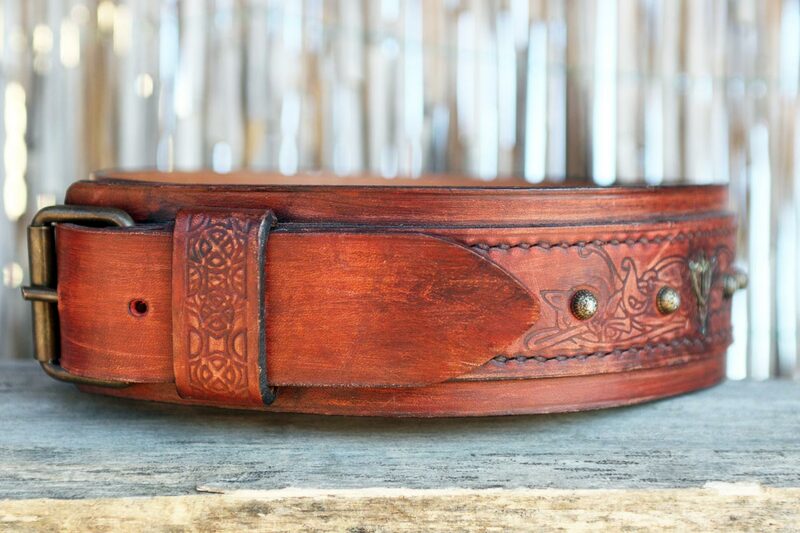 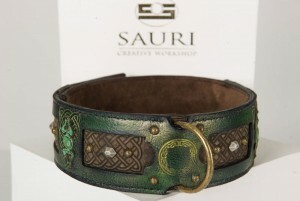 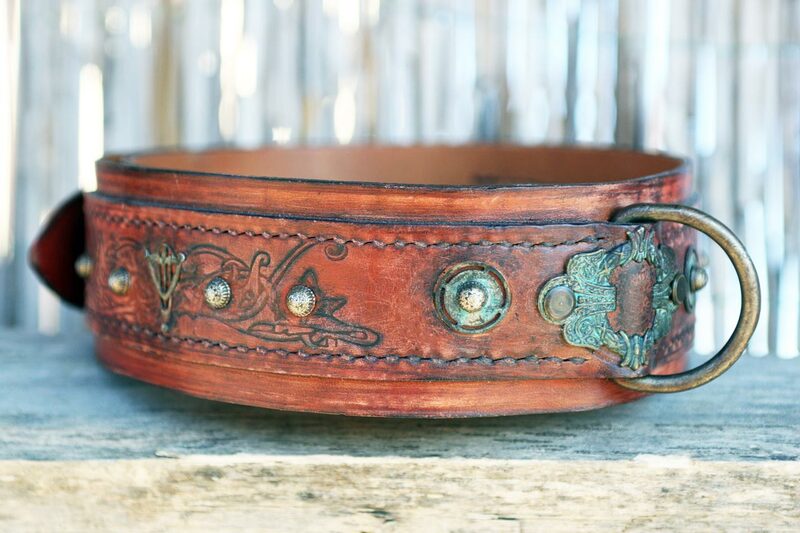 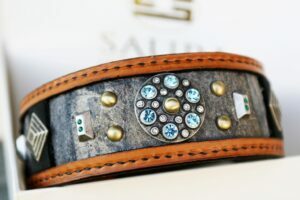 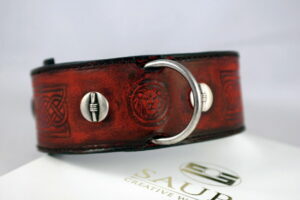 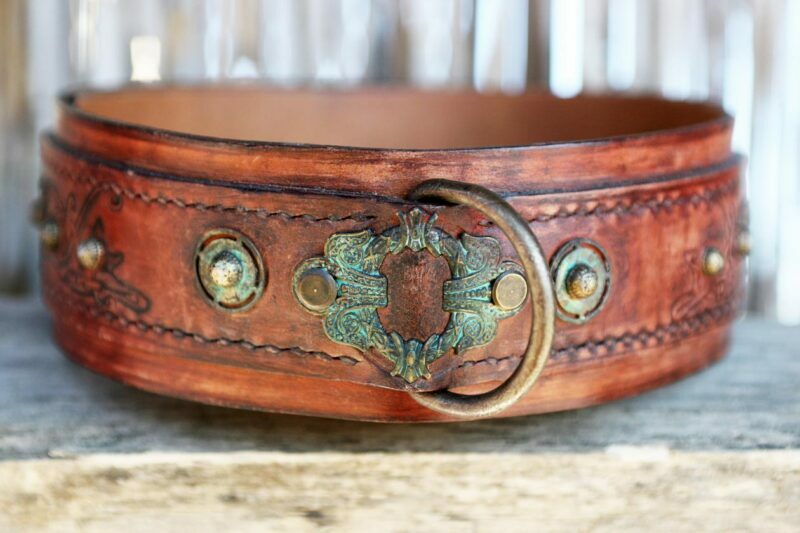 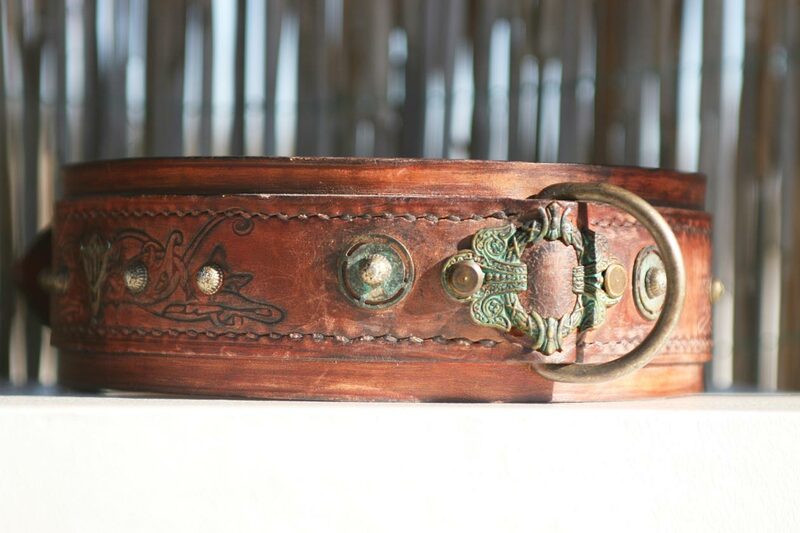 SKU: UC030 Category: Leather Dog Collars Tags: Dog walking, Embossed leather, Fancy leather, Large dog breeds, Medium sized dogs, Ornamented, Uniquely designed Brand: Workshop Sauri | Leather dog collars. 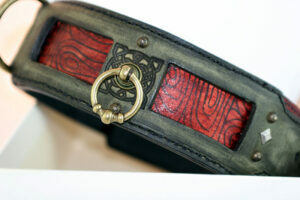 Darjeeling Dog Collar is designed for medium sized dogs as well as for the larger breeds. 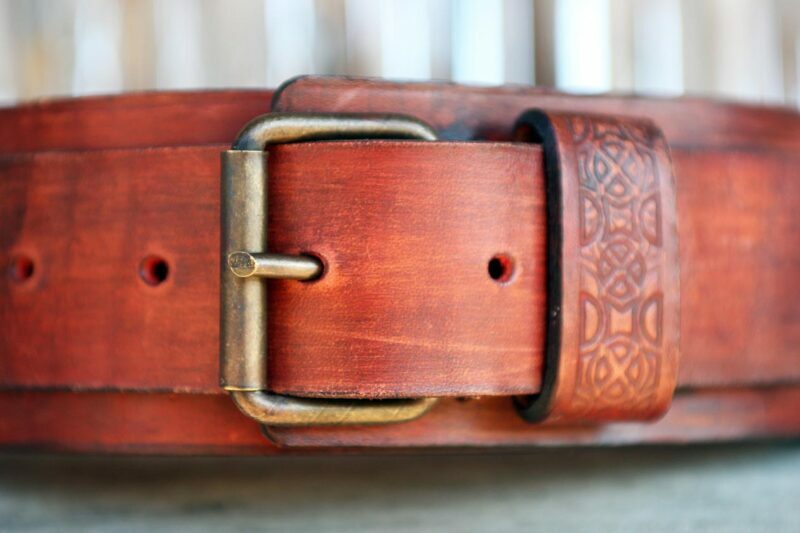 Because of its color (reddish brown / terracotta) it is pleasant to the eyes; leather surface is very smooth and supple to the touch. 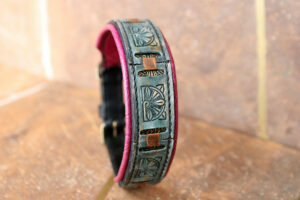 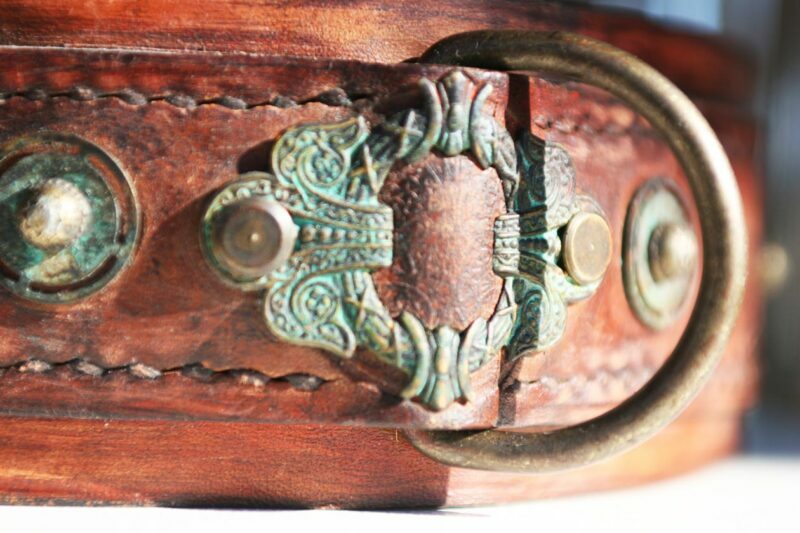 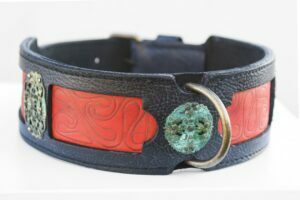 Collar’s curvilinear Celtic embossing and verdigris brass patina ornaments remind us conjointly of the colonial style elegance, a harmonious mixture of discipline and joy. 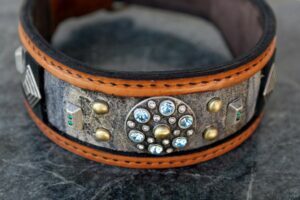 Leather thickness of Darjeeling handmade dog collar is especially suitable for long-haired dogs such as German shepherd dog, Rough collie, Golden retriever, Belgian shepherd, but it fits short-haired breeds too like Labrador retriever, Akita inu, Bullmastiff. 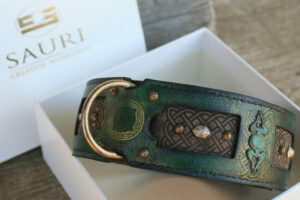 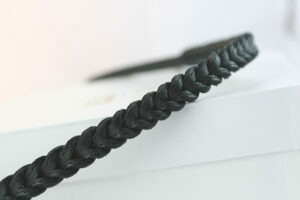 Darjeeling dog collar does not only look enchantingly beautiful, it is extremely durable and gains with the usage. 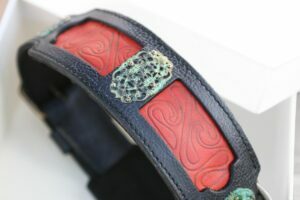 All ornaments are neatly and safely attached to the underlying leather.